Mainly used for vacuum packaging of meat food, poultry product, pickles, sea food, grain, medicine, biological product and electronic components. It can extend the warranty through cutting off oxygen. Suitable for vacuum packaging different kinds of plastic film bag, complex film, Aluminum foil bag. Special design for products in complex production environment. Controlled by imported electric unit, automatic heating and stable running. Assembled imported vacuum pump, with good vacuum effect, fast speed and long working life. 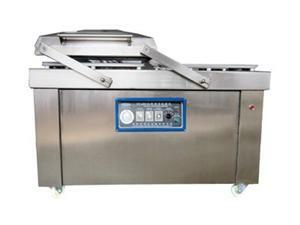 OsaintGroup has all kinds of vacuum packing machines, good service and excellent cost performance. Welcome domestic and overseas customers to visit and order!